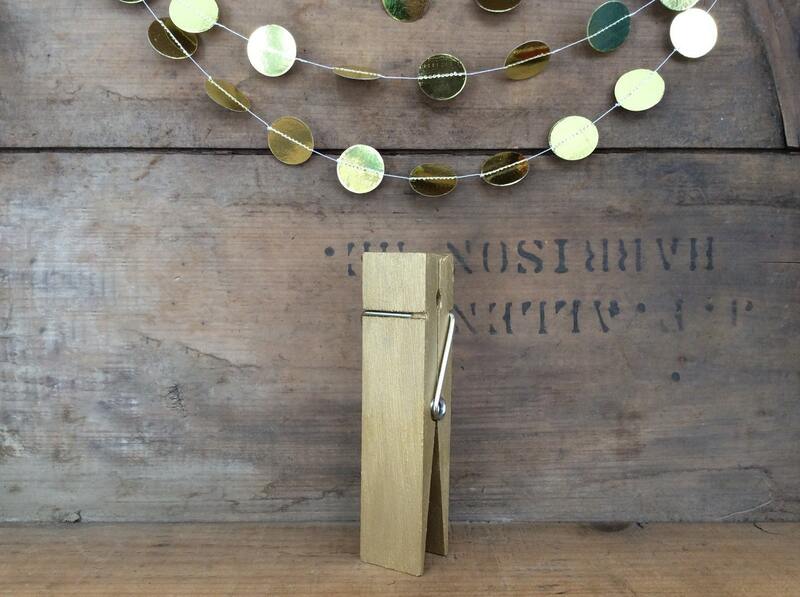 Gold Table Number Holder. Large Clothespin. Party Decor. Gold Wedding Decor. 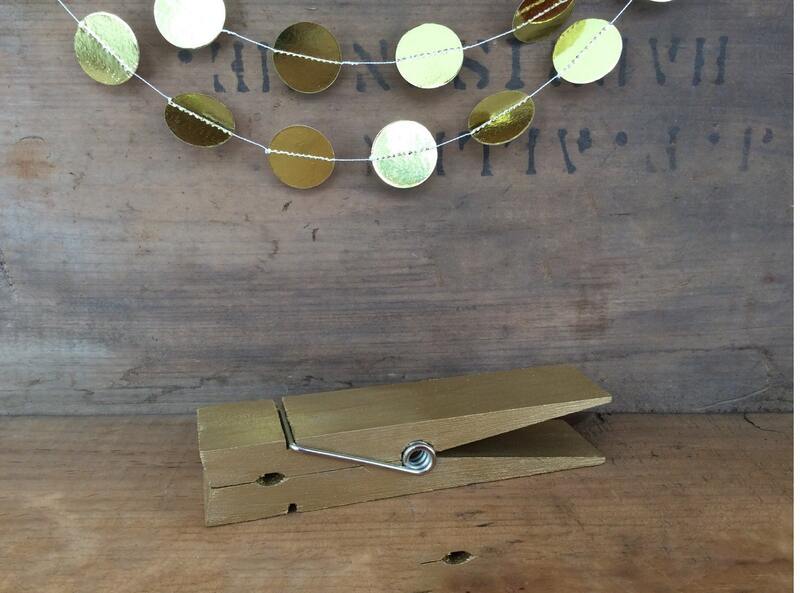 Gold Clothespin. Anniversary Party. Wedding Decor. Jumbo Clip. 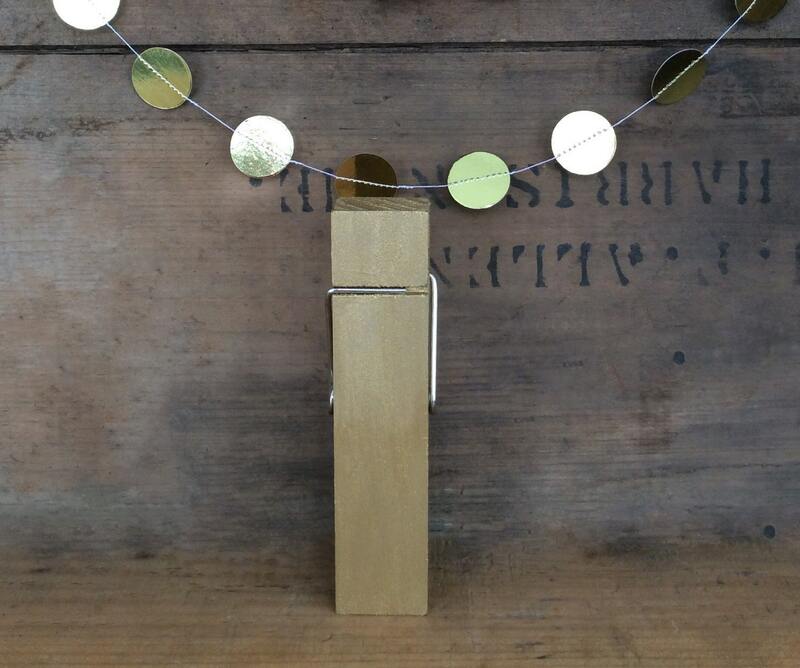 Great to use for wedding as a table number holder, buffet signs, and many other options. These are even great to use to hold pictures, notes, recipe cards, greeting cards, postcards, note cards, or anything else you would like. 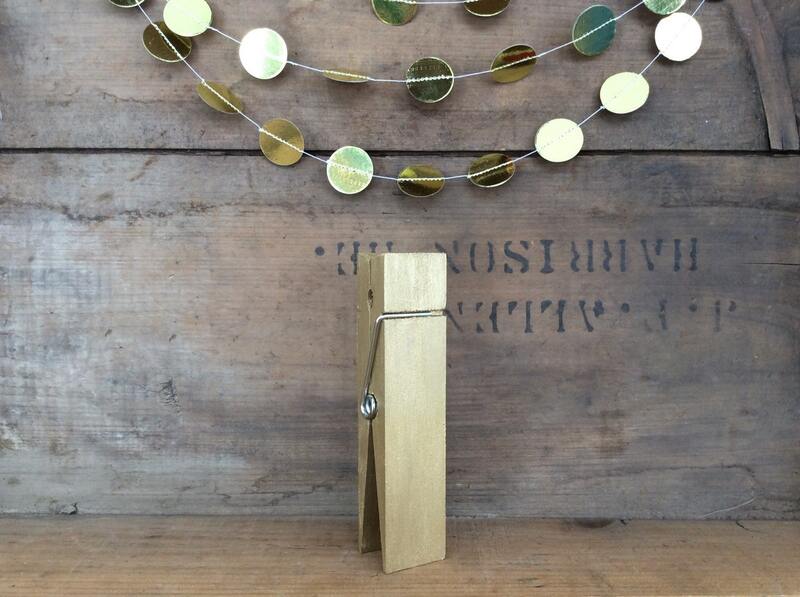 Listing is for ONE clothespin. If you need large quantities, please convo me. Measures: 1 3/8" x 5 7/8"
Please Note: Computer monitors may alter the color slighty from the item's actual color. Custom Order are always welcome.